The nominees were announced by Sam Bush and singer, songwriter and Music City Roots' musical host, Jim Lauderdale. Music City Roots has, for a long time, been highly supportive of the blugerass community and this was further demonstrated last night by them hosting the IBMA Award announcements. 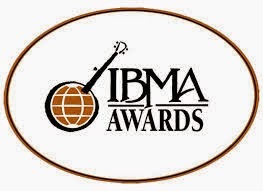 The IBMA Award winners will be announced on October 2nd at the IBMA's World of Bluegrass event in Raleigh, North Carolina.